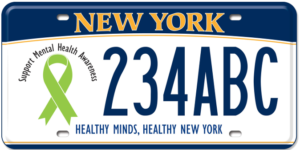 Take part in the Mental Health Association in New York State Inc. (MHANYS) Capital Region Project AWARE. This project provides free training to individuals who work with (or support) Veterans in Albany, Rensselaer, Saratoga, or Schenectady County. MHANYS will train over 830 individuals over the next three years across these four counties. These members of the public will train to improve their mental health literacy – helping them identify, understand and respond to signs of mental illness. Veteran Mental Health First Aid (MHFA) is an 8-hour training certification course which teaches participants a five-step action plan to assess a situation, select and implement interventions and secure appropriate care for the individual. The program introduces participants to risk factors and warning signs of mental health problems, builds an understanding of their impact and overviews common treatments. This evidence-based CPR-like program improves trainees’ knowledge of mental disorders, reduces stigma and increases the amount of help provided to others. Veteran Mental Health First Aid focusing on the unique experiences and needs of the veteran, service member and family population, provides the skills you need to reach out and provide initial support to someone who may be developing a mental health or substance use problem and help connect them to appropriate care. This is an 8-hour class and runs from 8:30 am to 5:00 pm.